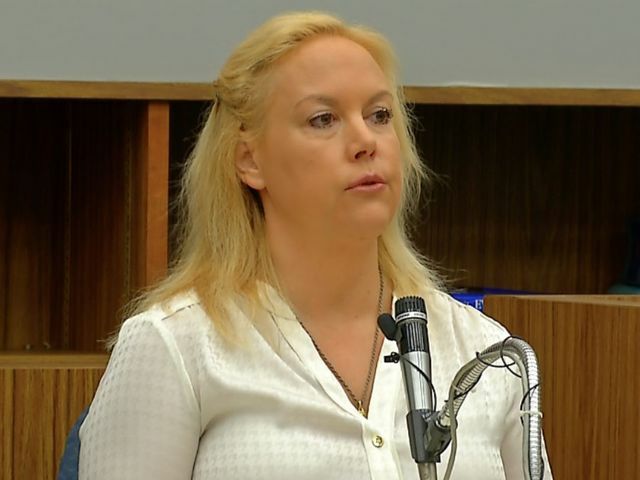 A Carlsbad woman who fatally shot her school-teacher husband in the couple's home more than three years ago took the stand Tuesday in her retrial on second-degree murder charges. On Wednesday morning, she addressed her education, job history and health history. She also discussed the early period of her relationship to Jason Harper. The two met in 2000. She said that just a few months into the relationship she began to question their compatibility on different issues such as work ethic and religion. "For the first couple months, it was fun, I liked him, had a good time. About three, four months into it, I had become very concerned that we had different values for many things in life," Harper said Wednesday. Harper said the two broke up, but then got back together. "He didn't go to church; he never spoke of faith in his life. But it was more than that. He was critical of organized religion in general, almost to the point of making fun of me for practicing." A stay-at-home mom, Harper testified in the first trial that her husband raped her at least 30 times and was verbally and physically abusive for more than a decade. Jason Harper was a teacher at Carlsbad High School. Two of Harper's children testified in their mother's retrial last week. Jackie Harper, now a fourth grader was asked by San Diego County Deputy District Attorney Keith Watanabe, "How do you feel about your mom now?" "I don't like her," Jackie responded. "[Because] she killed my father," Jackie said. Harper, who filed for divorce five days before the killing, surrendered to police at her father's Scripps Ranch home a day after the homicide. In March, a judge delayed the retrial due to Harper being pregnant. Harper's pregnancy, via in-vitro fertilization, raised questions about who the father is, possibly her husband, which could undermine her claim that she was scared of him and killed him in self-defense. 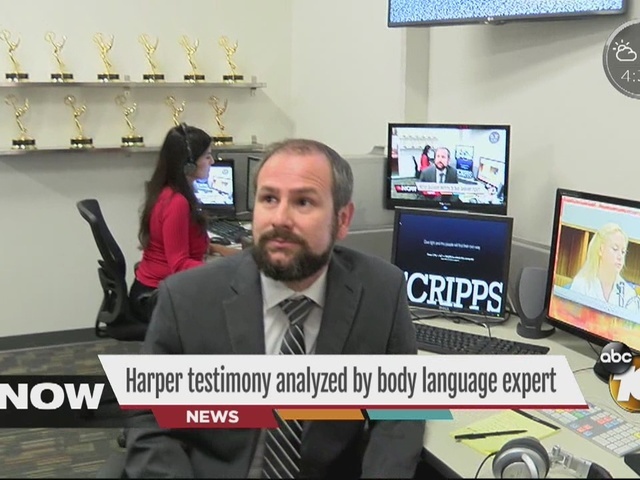 Harper's testimony was expected to continue into Tuesday afternoon.